Analysis: Bennett College needs approximately $378 million to allow all of its undergraduates to attend the college debt free annually at its current population and cost of attendance. Often thought of as the “other” women’s college, Bennett College is actually 8 years older than its sister college in Atlanta. Comparisons between the two are natural but should not be made beyond their student body gender makeup. The school’s atmosphere is still intensely intimate with less than 800 students. Its need for growth goes without saying as it needs to double in size in order for more alumni in the field. At the same time it has an opportunity to develop extremely nurtured relationships with students and their families so that personalizing the donation relationship would not be complicated. The fields that it has shown to be strong in are very good growth and need areas for African America’s infrastructure. 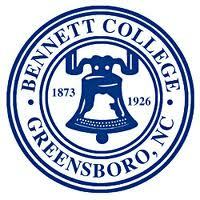 Bennett College faces some difficulties in terms of recruitment being in the middle of such an HBCU hotbed. Being such an extraordinarily small school can often time leave it overlooked by potential students and donors. That being said it reports one of the healthiest if not the healthiest endowment amongst the small HBCUs. The coming decade for the endowment and its growth potential will be determined substantially as the board of trustees determines who the new leadership of the college will be and what their vision requires. With a strong willed leader this institution could see its endowment easily triple over the next decade. They are small but the ladies of Bennett College pack a mighty punch.